Father Frank was born in Glasgow in 1951 and attended school at St. Peter’s Primary in Partick and St. Mungo’s Academy. He studied accountancy while working for Olivetti at Queenslie before joining the Passionists in 1975, having been influenced by his experiences at the Passionist Retreat House at Coodham in Ayrshire. He was ordained in St. Mungo’s in 1983 and spent his first three years of ministry there. Future ministry brought him to Mount Argus in Dublin; Minsteracres in Co. Durham; Southern Africa; Sligo and Prestonpans, before returning to Mount Argus where he spent 16 years as parish priest and guardian of the shrine of Father Charles of Mount Argus, now Saint Charles. 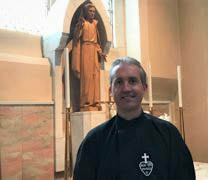 He returned to St. Mungo’s as rector and parish priest in October 2016 and continues to serve as Provincial Bursar for the Passionists of St. Patrick’s Province. Father Gareth was born in 1982 and comes from Merthyr Tydfil in Wales. When he was ordained in his home parish on 18th September 2014, he became the first ordination for the Passionists in St. Patrick’s Province for 21 years. His Formation years as a Passionist were spent mainly in the North of Ireland and in England, where he studied Philosophy at Allen Hall, and Theology at Heythrop College, London, but also included a period of postulancy in St. Mungo’s. 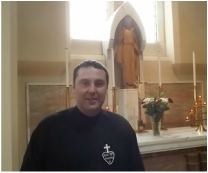 After ordination Father Gareth spent some time working in the Passionist parish at Holy Cross, Ardoyne, before receiving his first formal appointment as assistant priest on the parish at St. Mungo’s after the Provincial Chapter in June 2016. Father Lawrence was born and baptised in the parish of St. Mary’s, Irvine and attended St. Mary’s Primary and St. Michael’s College. He served his apprenticeship as an electrician and in 1962 joined the Passionists as a Religious Brother. In 1969 Lawrence went to Botswana, Southern Africa, where he was involved in administrative work in Catholic Secondary Schools in the Diocese of Gaborone. 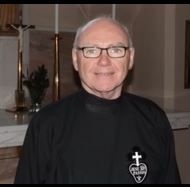 He returned to Ireland in 1977 to study for priesthood and was ordained in 1981, thereafter serving in parish ministry throughout Botswana from 1984 until his return to Scotland, and to St. Mungo’s in 2012. Father Justinian was born in Maryhill in 1931 and spent most of his early life in Glasgow until his family was evacuated to Girvan after the big bombings during the Second World War. It was from Girvan that he left, having sensed a call to the religious life and priesthood. 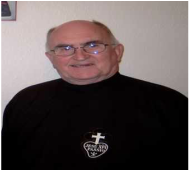 He was professed in the Passionist Congregation on 6th November 1952 and ordained a priest on 21st December 1957. 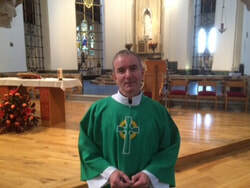 His years as a priest have been spent in Ireland, Scotland, Canada, USA and France. He is now the doyen of the Passionist Community at Bishopbriggs. Brother Antony was born in Glasgow and attended St. Joseph’s Primary, Cardowan, before moving to St. Matthew’s Primary, Bishopbriggs, and then Turnbull High School. He completed an undergraduate degree in medical biochemistry at Glasgow University and subsequently a Master’s degree in biomedical sciences from Strathclyde University. During this time he was actively involved with the work of the Catholic Youth Office in the Archdiocese of Glasgow and led World Youth Day pilgrimages to Rome, Toronto and Cologne. He then went on to study four years of philosophy and theology at the Angelicum in Rome and a further two years of theology at Heythrop College, London. He spent some time with the Missionaries of Charity ministering to the poor in Rome, Mexico and Kenya. Returning to Glasgow, he has recently begun assisting in the various college and university chaplaincies around St. Mungo’s.